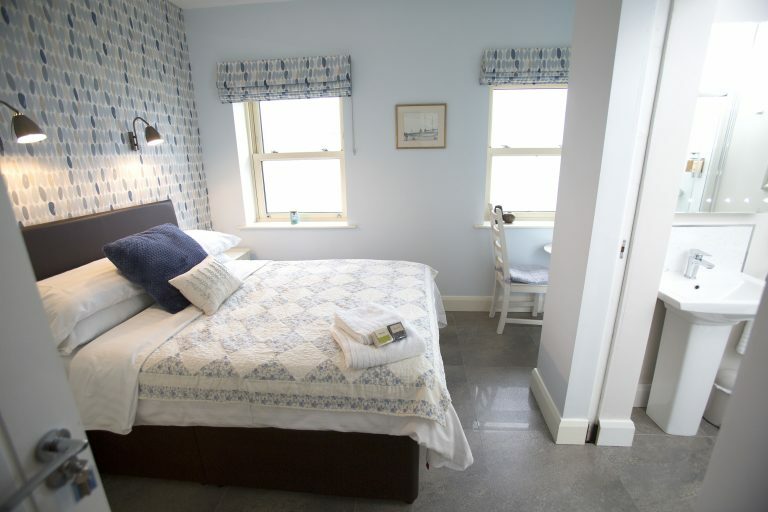 Enjoy elevated views over Glenarm Marina and the bay from our first floor Marina Room. 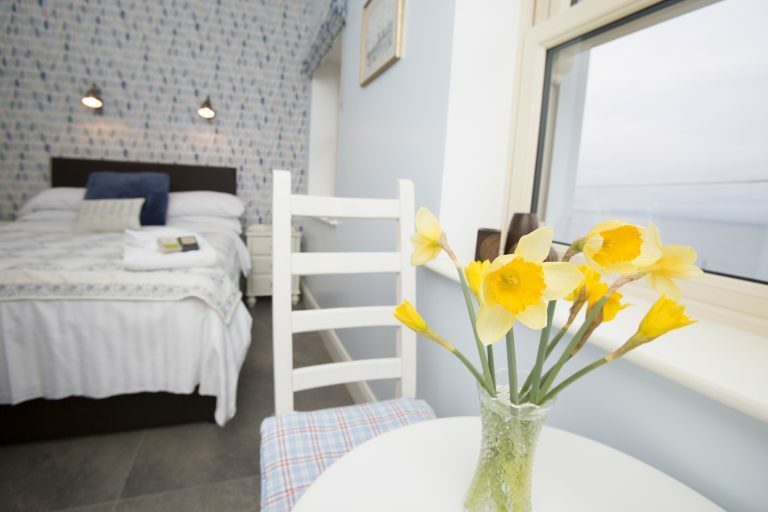 Having a cosy double bed, it’s perfect for snuggling up and taking in the spectacular scenery. 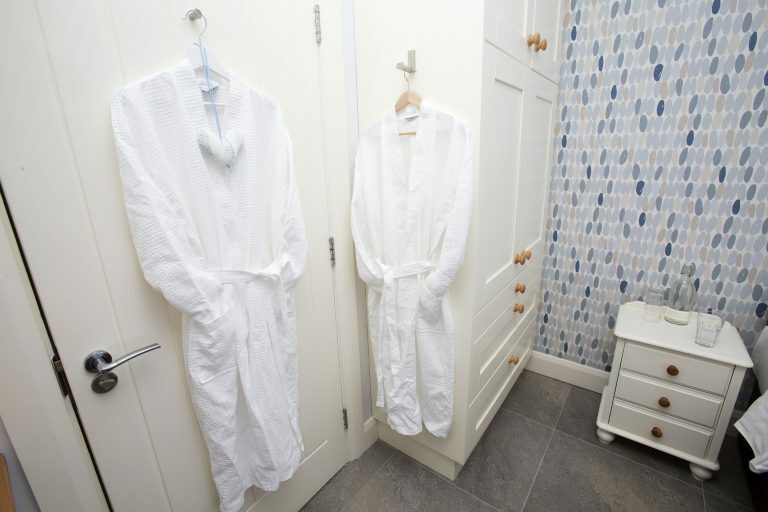 Your en-suite shower room has a reviving shower ensuring you are ready to experience all that the Glens of Antrim have to offer. We stayed for two nights at Water's Edge and were looked after wonderfully by Jenny and Pete. Breakfast and dinner were fantastic and we loved hearing all about the locally sourced produce, especially the smoked salmon fillets we enjoyed with our scrambled eggs. Our room had the most wonderful view and we woke each morning to the sound of the sea. 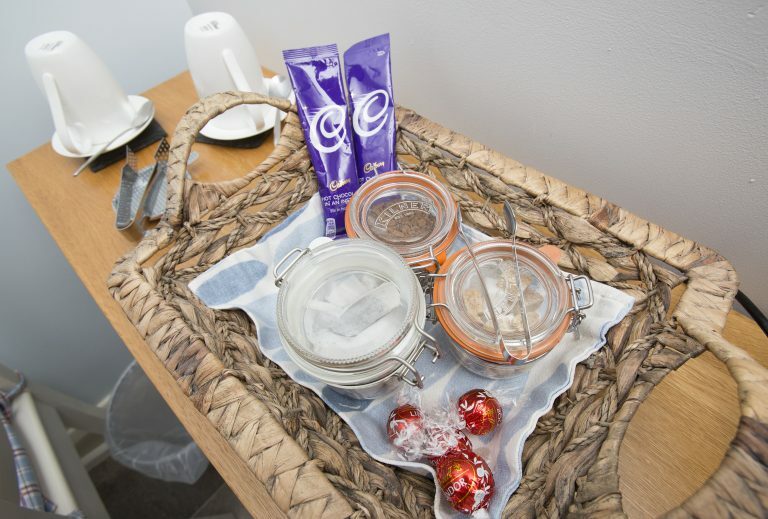 Tea and coffee making facilities, home-made biscuits and a sparkly bathroom showed that Jenny and Pete really want their guests to relax and enjoy their stay. Coffee and homemade cake in the courtyard were an added bonus! We will definitely return! 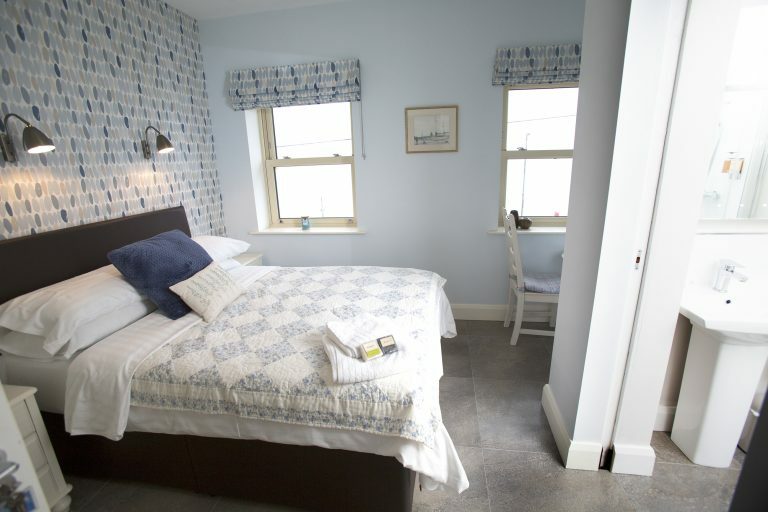 If you would like to book a specific room please select the book now button and you will be redirected to the book now page, or if you want to get in contact with us please send an email using the contact form. 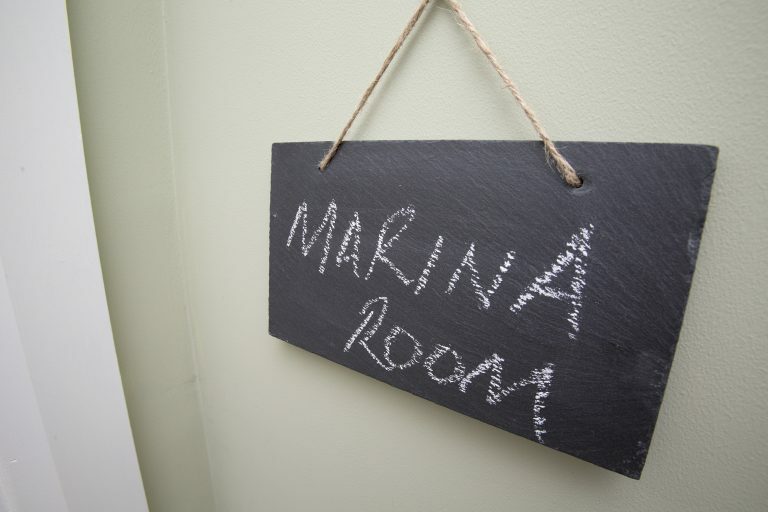 Marina Room from £90 per night based on two persons sharing. 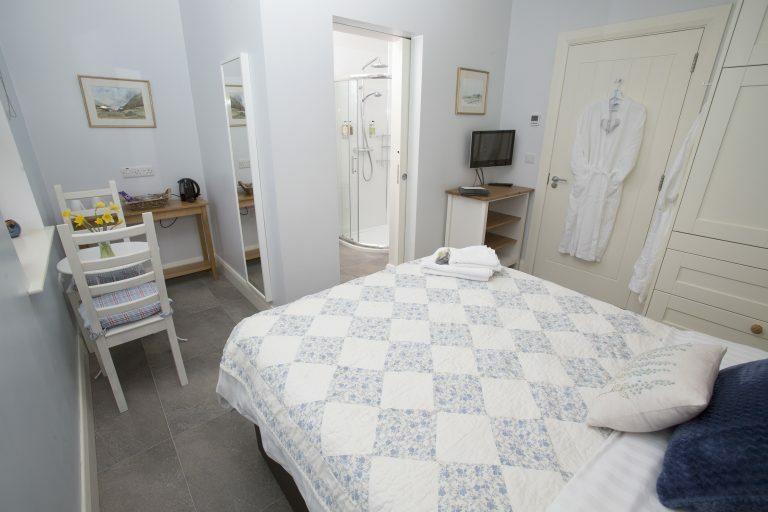 Single occupancy from £70 per night. Full home cooked breakfast included. 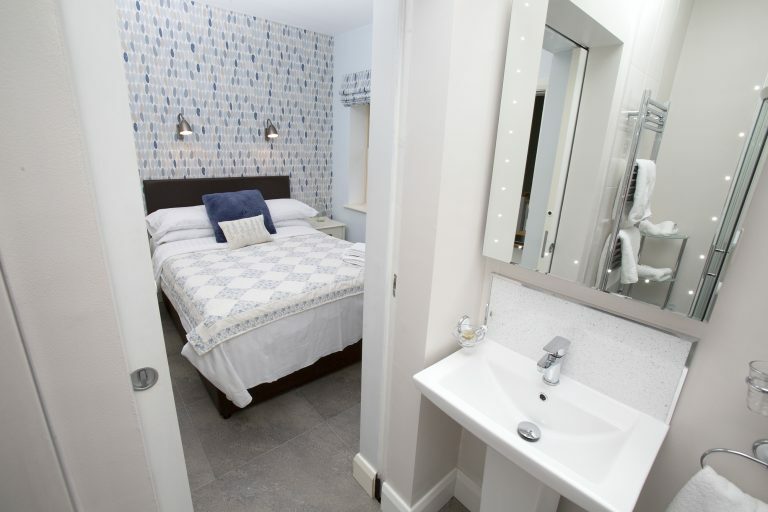 Book Your Next Stay Now! 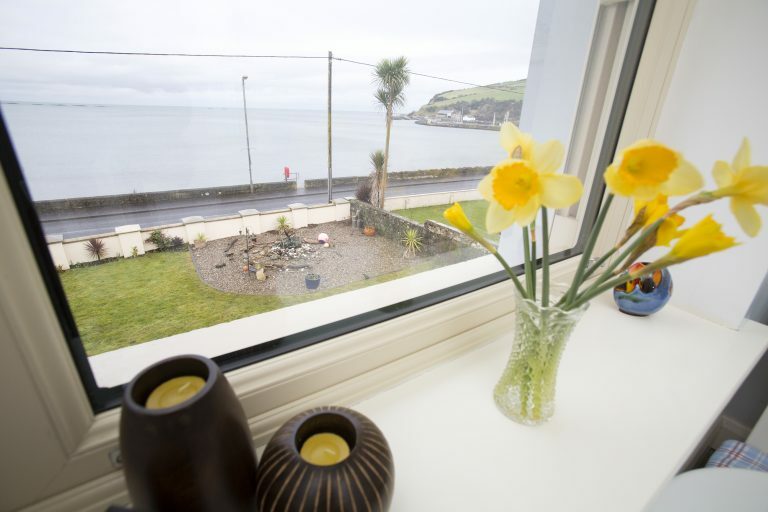 Accessible Bed and Breakfast and Self Catering Accommodation on the Causeway Coastal Route/Glens of Antrim. Water's Edge Glenarm B&B. 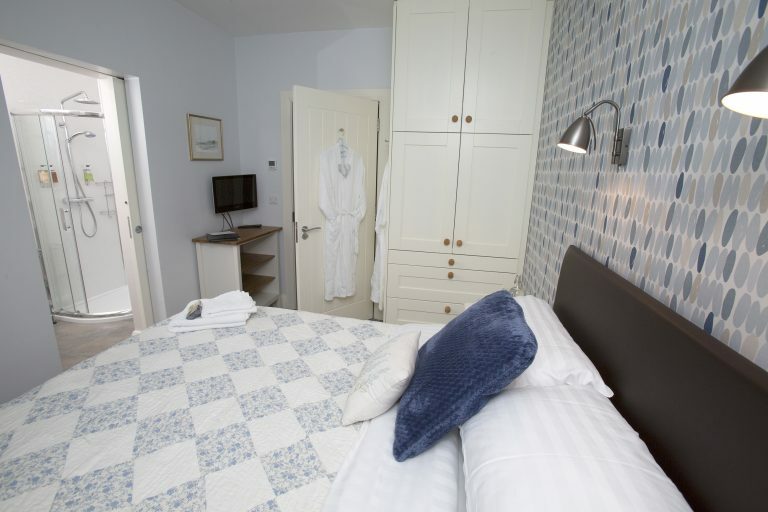 There is something special about our award winning 5 * B&B, our home. 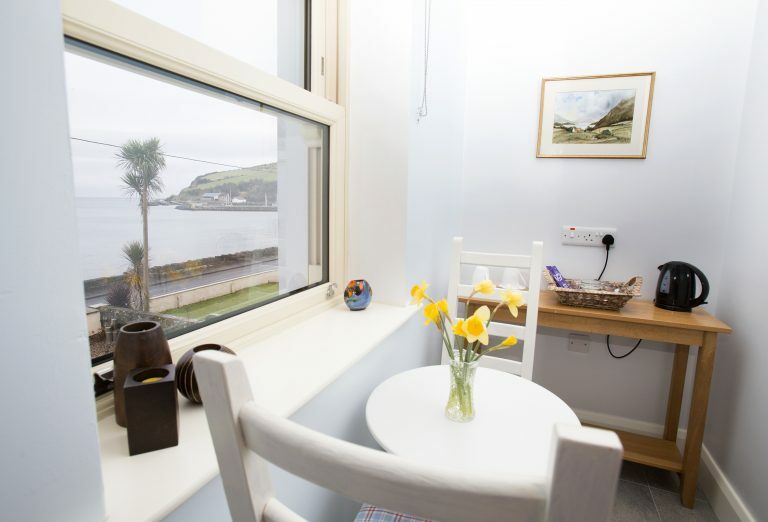 You can relax in this unique location and gaze out at spectacular views, savour our delicious home cooked breakfasts and receive a very warm welcome.